Corrupted files can be a big problem, especially if one of those files is your work or school project. 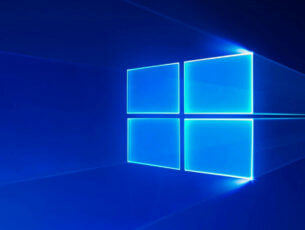 There are many different tools that can help you in these types of situations, and today we’re going to show you some of the best tools to repair files on Windows 10. What are the best tools to repair corrupted files on Windows 10? This is another tool for file repair, and using this tool you can repair Word, Excel, PowerPoint and ZIP files. The tool will allow you to preview your files before you restore them which is always a useful option to have. We have to mention that this tool supports three different repair levels and it should restore your files without any modifications. This file repair tool can also bypass password protected ZIP files, so you’ll be able to repair them even if they are protected. When you start Stellar File Repair Toolkit for the first time you’ll be asked to choose what type of file you wish to repair. We have to mention that in order to repair Office files you have to have the appropriate Office tool installed. As for ZIP files, you can repair them without any special applications installed. After selecting the type of file you want to repair, simply locate it on your hard drive and start the repair process. We have to mention that the application comes with slightly outdated user interface that can turn away some users. 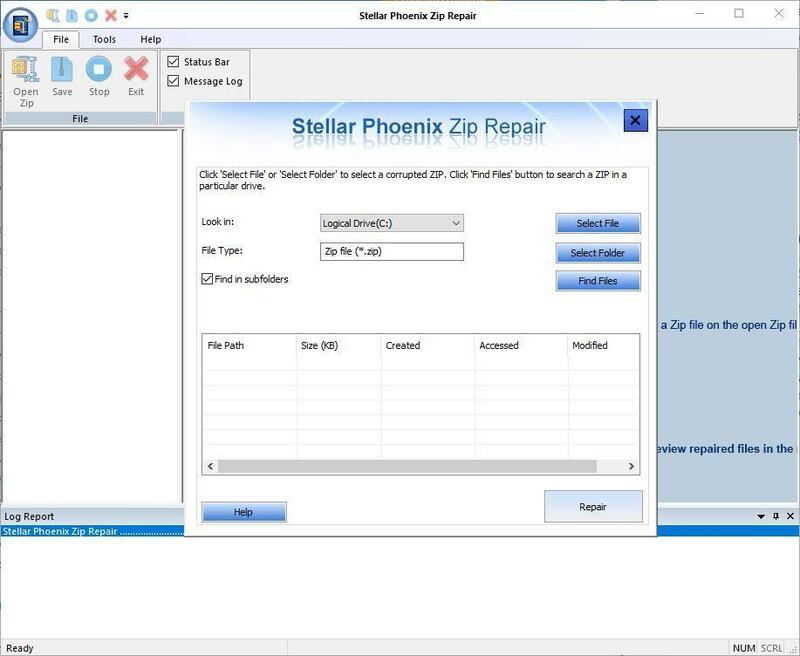 Stellar File Repair Toolkit is a decent tool that can repair both Office and ZIP files, but unfortunately this tool isn’t available for free. If you want to continue using the tool, you’ll have to purchase a license. Another famous application for file recovery is Recuva. This tool will scan your PC for deleted files and allow you to recover them. 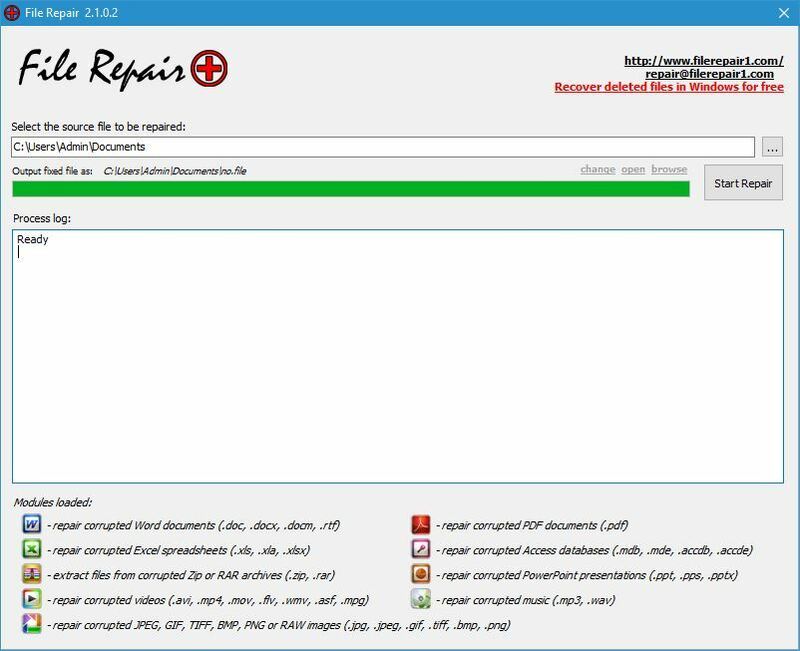 In addition to deleted files, this tool can be used to repair damaged files as well. 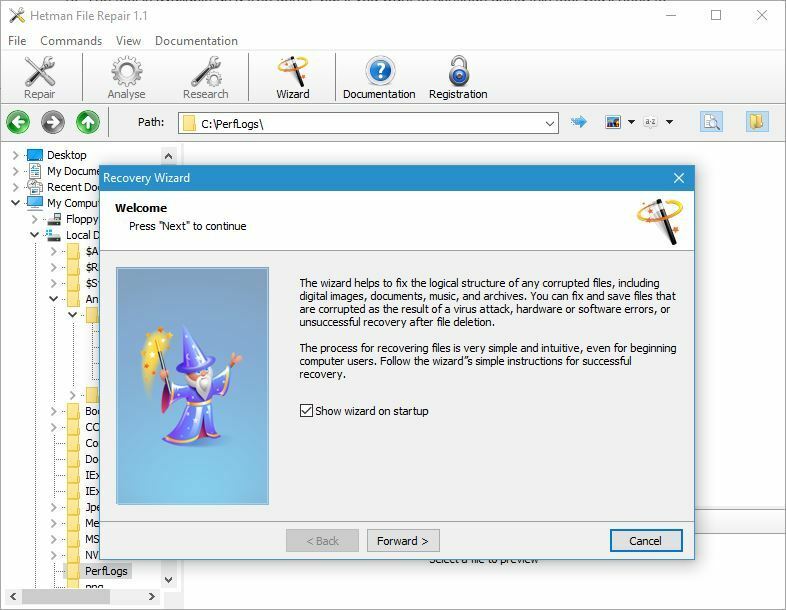 When you start the application you’ll be greeted by Recuva Wizard asking you to choose which type of file you want to recover. You can choose between all files, pictures, music, documents, video, compressed files and emails. By choosing a specific file type you’ll narrow your search and speed up the scanning process. After selecting the file type you need to choose the location that you want to scan. Recuva can scan the entire PC, your media card, Recycle Bin or a specific location on your PC. After the application finishes the scan, you can select the files that you want to recover from the list of results. You can also use the search bar on the top to quickly find files that you want to repair. This tool also supports Deep Scan feature that will perform a detailed scan of your hard drive. 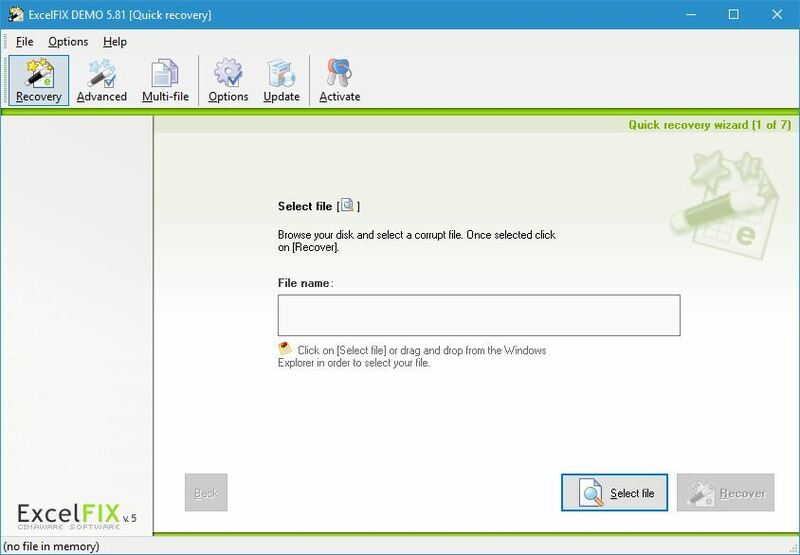 Recuva also works with damaged disks, so you can recover files from damaged flash drives. In addition to recovery, the tool also allows you to securely delete files thus preventing any chance for recovery. 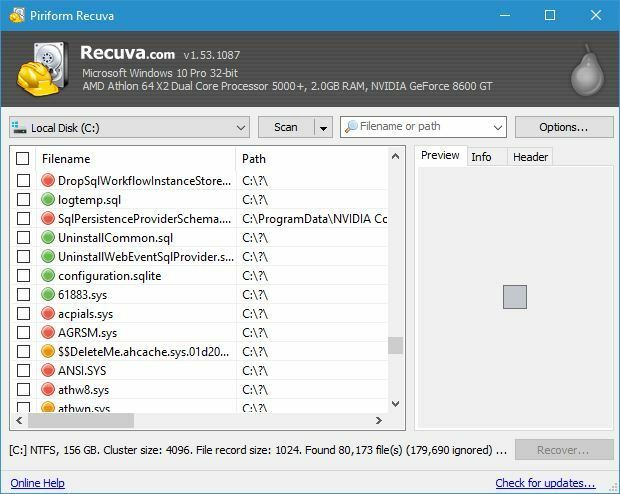 Recuva is a great tool for file recovery, and it’s available for free. In fact, there’s a portable version available so you can use this tool on any PC without installation. Professional version is also available and it gives you access to advanced file recovery, but you have to pay for it. Additional features include virtual hard drive support, automatic updates and premium support. Even though professional version comes with a license fee, the free version will be enough for most users. File Repair is a simple and freeware tool that can repair your corrupted files. The application will scan the corrupted file and try to extract data from it to a new file. According to the developer, this application can help you fix the number of problems with corrupted files, such as inability to read or access the file. In addition, File Repair can also help if the file is not in recognizable format or if the application can’t open that type of file. Lastly, the application can help if you have problem with low system resources and memory errors. Developer claims that File Repair can help repair problems caused by unexpected power failure, network interruption or virus infection. In addition, this application can fix problems caused by network sharing or application errors. Regarding the supported file formats, this application works with wide range of formats. File Repair can repair corrupted Word, Excel, Zip or RAR files. The application also supports image files such as JPEG, GIF, TIFF, BMP, PNG and RAW, PDF files, corrupted Access database files and PowerPoint files. Lastly, you can use this tool to fix corrupted .mp3 and .wav files as well. File Repair offers a wide array of features and a large number of supported file formats. The application has a simple user interface so it will be perfect for basic users. As we already mentioned, this is a freeware application, so you can download it and use it without any limitations completely free. 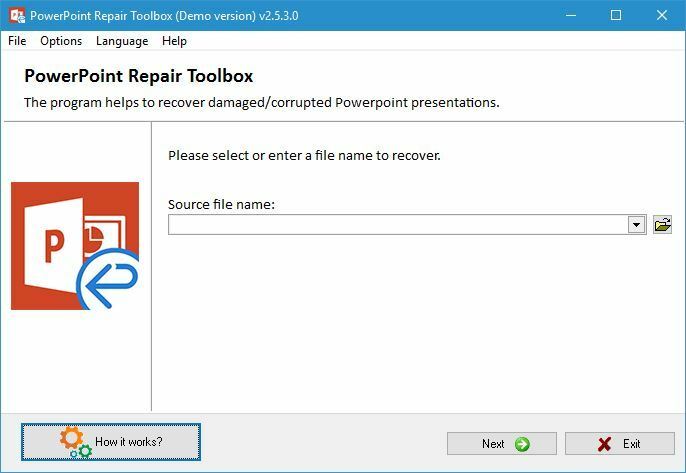 Unlike previous entry on our list, PowerPoint Repair Toolbox will repair only damaged PowerPoint files. According to the developers, this tool can fix problems with data corruption on Windows 7 and newer operating systems. In addition, the tool offers simple user interface so you’ll be able to repair your files quickly and with ease. The tool can recover text, objects and other items stored in any PowerPoint file while keeping the structure of the input file unchanged. In order for this tool to work, you need to have PowerPoint installed on your PC. We have to mention that media files and images from .ppt files will be saved separately on your hard drive, therefore you’ll need to add them to the presentation again. The tool has some limitations, and it can’t repair password protected files, so keep that in mind. 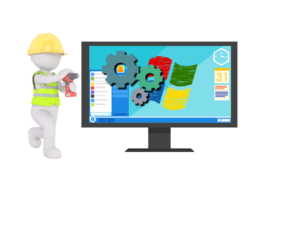 PowerPoint Repair Toolbox is available as a free demo, but if you want to continue using it, you’ll need to get a license. We also have to mention that developer has many other different tools for file repair on the website, so if you have problems with any other file type, you might want to consider one of those tools. This is another tool for file repair designed to fix problems with Office files. According to the developer, this tool can repair Access, Excel, Word and Outlook files. The tool comes with a simple user interface, and as soon as you start the tool you need to choose what type of file you wish to recover. Regarding the file recovery, you can repair one or multiple files. We have to mention that this tool comes with slightly outdated interface which can be a flaw for some users. This is a decent tool if you wish to recover your Office files, but the application seems a bit outdated, and if that’s a problem for you, you might want to consider a different tool. This isn’t a free application, but you can download and try the free demo without any restrictions. If you can’t open a .zip archive due to corruption, you might want to consider Zip Repair tool. This is a simple tool and it will allow you to repair corrupted Zip files with ease. Simply select the damaged file and choose the save location for the new file. 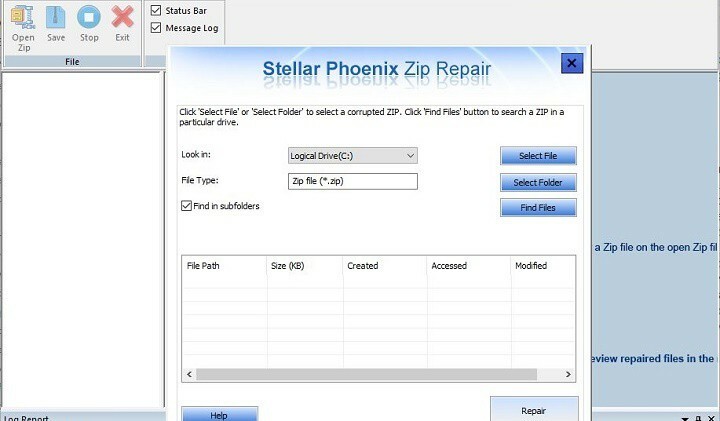 In addition to file repair, this tool allows you to extract files and to repair spanned Zip files. Lastly, you can also perform a batch Zip repair and repair multiple .zip files at the same time. According to the developer, this application will repair CRC errors in a .zip file thus allowing you to extract the archive. The application supports Zip64 format and it can work with archives that are larger than 2GB. 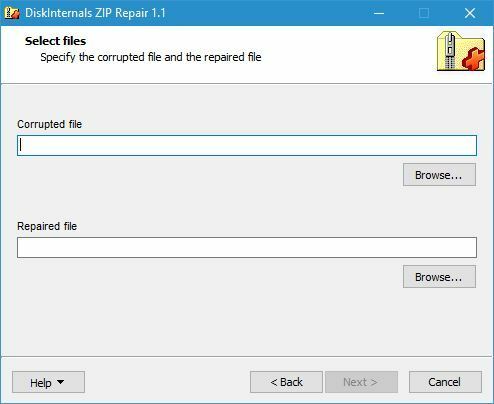 Zip Repair is a decent application, but it has an outdated interface that some users might not like. We have to mention that this isn’t a free application, but you can download and use evaluation version free of charge. Zip files are extremely useful if you want to transfer multiple files at once, but if your ZIP archive is corrupted, you can repair it by using this tool. Zip archives are prone to corruption, and if a minor corruption occurs you won’t be able to extract your files. This is because ZIP archives check the CRC values of the original files, and if any type of corruption occurs the CRC value will change thus making you unable to extract your files. Repairing files is simple, and you just need to select the archive that you want to repair. After that, set the filename that you want to use for the repaired file and start the repair process. 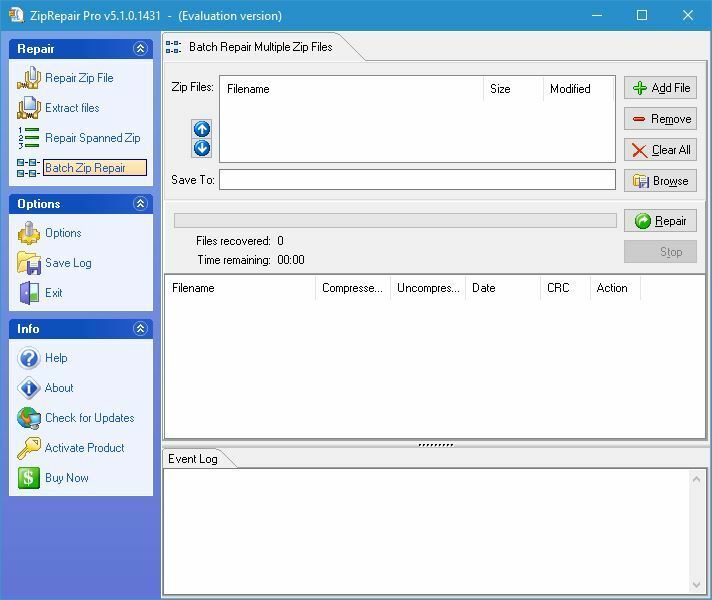 After the scan is complete, the tool will extract partially damaged and restored files. DiskInternals ZIP Repair is a simple tool that will repair all your corrupted zip files without any problems. In addition to being simple to use, this application is also free, so you can use it without any restrictions. Besides ZIP files many users use RAR files to create file archives. RAR files can also become corrupted, and in order to repair a corrupted RAR file you might need a tool such as Recovery Toolbox for RAR. 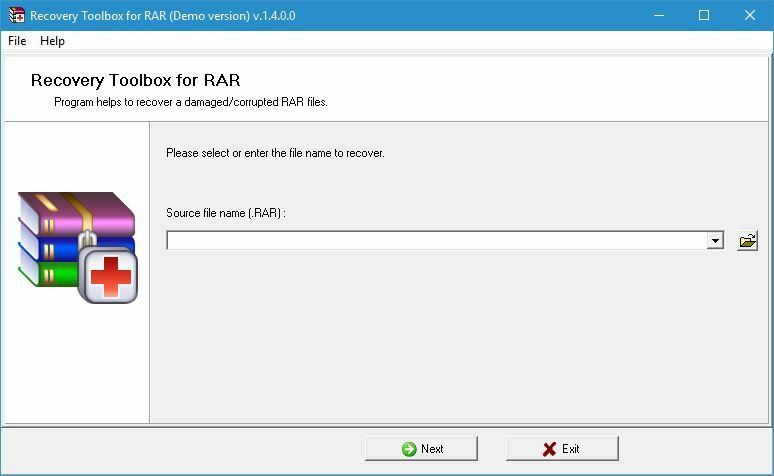 According to the developer, this tool can help you if the RAR archive is in unknown format or damaged. In addition, this tools is helpful if you’re getting CRC check failure message due to file corruption. The tool can also help if the RAR file header is corrupted or if the RAR archive is improperly compressed. To fix a RAR file, you just need to select the damaged file and follow the instruction wizard. We have to mention that this tool can work with files up to 4GB. Regarding the compatibility, this tool should work on all version of Windows, including Windows 10. The tool is available as a free demo, but if you want to continue using this tool, you’ll need to purchase a license. If you can’t play your video files, you might be interested in a Digital Video Repair tool. This tool can repair AVI, MOV, MP4, M4V, MP4V, 3G2, 3GP2, 3GP and 3GPP files. 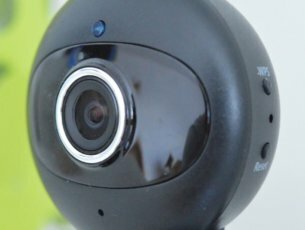 In addition, the tool can process multiple video files at the same time. The tool will detect the corrupt data and repair the index of AVI files. Regarding AVI files, the tool supports AVI files larger than 2GB and it can fix files failed in recording. The tool also supports AVI files encoded with XviD, DivX 4, 5, 3ivx, Microsoft MPEG4 (versions 1, 2, 3), DivX 3.11 and Angel Potion (versions 1 and 2) codecs. Digital Video Repair can also process multi-track video files. The tool comes with a simple interface, so it’s perfect for basic users. To repair a file, you just need to select the desired file and wait while the application scans it. This might not be the most visually appealing tool, but it should help you repair any corrupted video files. This tool is completely free and you can use it without any restrictions. Another tool that can help you repair corrupted images is Hetman File Repair. According to the developer, the tool performs a detailed bit-level analysis in order to recover your files. By doing so the application can repair errors in system structures and content blocks. The tool can extract all usable information from the file and rebuild the damaged file from scratch. Developers claim that the tool can repair files from a corrupted drive that contains bad sectors. Hetman File Repair is compatible with JPEG, JPG, JPE and JFIF files in lossless mode. As a result, the application will perform the repair at the block level without re-encoding thus preserving the original quality of the file. In addition, this application will preserve EXIF information as well. The tool can also repair TIFF, TIF, FAX, G3 and G4 files. Hetman File Repair supports uncompressed files and TIFF images compressed with LZW, JPEG, PackBit, CCITT 1D 2, Group 3 Fax 3 and Group 4 Fax algorithms. In addition, there is support for PNG, BPM, DIB and RLE formats. The application can even work with LZ77 compressed PNG files. This tool will repair your PNG files while preserving the original quality without re-compressing the files. The tool comes with a simple wizard that allows you to add files that you want to repair, but you can also find the files that you want to repair using the file tree. We have to mention that this tool comes with a useful preview option and there’s also a low-level HEX editor available. This is a decent tool if you want to repair corrupted image files on your PC, but unfortunately this tool isn’t available for free. To continue using this tool, you’ll need to purchase a license. As you can see, there are many different tools that you can use to repair your files, and depending on the type of file that you want you repair you might have to use different tools. We have to mention that sometimes your files can’t be repaired, so you should keep that in mind before trying any of these tools.